The Undercurrent was born from a desire to flaunt the Gold Coast through the eyes of locals. Featuring only local Gold Coast artists who share in a passion for this city’s unique culture, and offer them the opportunity to create projects on their home turf. The Undercurrent’s name is two-fold; a nod to our thriving surf culture and unveiling a side of the Gold Coast that may not be common knowledge, but definitely should be. Share your pride in this city by purchasing one of these unique t-shirts. Press: Inside Gold Coast, Gold Coast Bulletin, 7 News Gold Coast, The Village Markets, More Gold Coast, Blank GC, The Four Two Society, Rarlo Magazine, QT Gold Coast and The Weekend Edition. 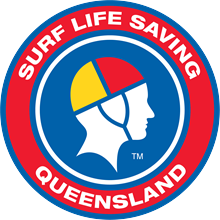 In supporting The Undercurrent by purchasing a shirt, you are also supporting Surf Life Saving Queensland (SLSQ). $2 from every shirt sold is donated to this volunteer-based community service organisation. From humble beginnings when the first recorded rescue on a Queensland beach was made in 1909, SLSQ is now an efficient and vibrant organisation servicing 30,500 members. 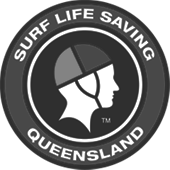 SLSQ is built on a fundamental principle: to save lives. The Undercurrent is happy to support them in this mission. Don’t forget, to please always swim between the flags.